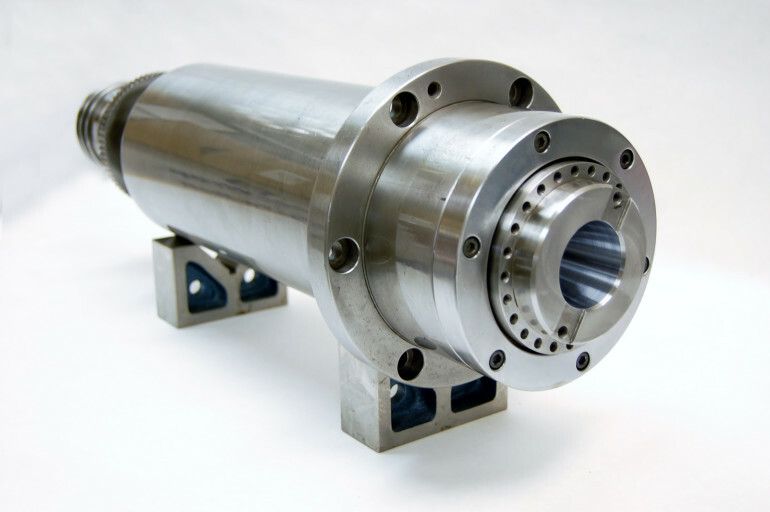 At High Speed Technologies, Inc. we are experts in SETCO Spindle Repair and Rebuild to OEM like new performance with a full warranty. Call 1-603-483-0333. Emergency quick turnaround repair service is available. If your SETCO spindle has damaged bearings, or needs a complete rebuild HST can get your spindle back up and running like new. And we have repaired dozens and dozens of SETCO spindles. 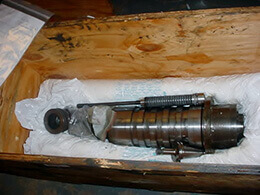 We have the equipment, training and expertise to restore your spindle to “good as new” condition. Who should you use to repair your spindle? Get the answers to these questions before you choose. Questions that need answers. Excessive vibration, noise, and elevated operating temperatures are all indications that a spindle may need repair. Other indications of a damaged and potentially failing spindle are chatter marks on the work pieces. If your spindle displays any of these give us a call. We may be able to offer some suggestions for other things to check. And if you call us during normal business hours a real person will answer the phone. But no matter what problem your SETCO spindle may have HST can repair it to like new. Even most crashed spindles with damaged shafts can be repaired. Below are just a few examples of some of the SETCO spindles we’ve repaired. Expert SETCO Spindle Repair 1-603-483-0333 Full Warranty, Fastest Turn Around. OEM Trained technicians. Repairing Spindles since 1986. This spindle was obviously in bad shape. The taper was damaged and had indication of a tool spin. It will definitely require GPG to restore tool contact. All bearings will need replacement. If you have a damaged shaft we most likely can restore it. Superficial damage and wear can be repaired with our GPG process. 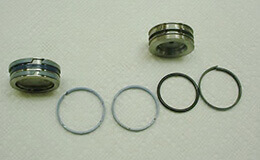 Contamination had penetrated all areas of this spindle and bearings. It’s a bit amazing that this spindle lasted as long has it did. When the spindle was repaired we measured 2µm runout on the taper. Vibration readings were 0.03720 in/sec. The final step for our gold line repairs is careful packing. Precision spindles are very susceptible to damage from vibration or impact. 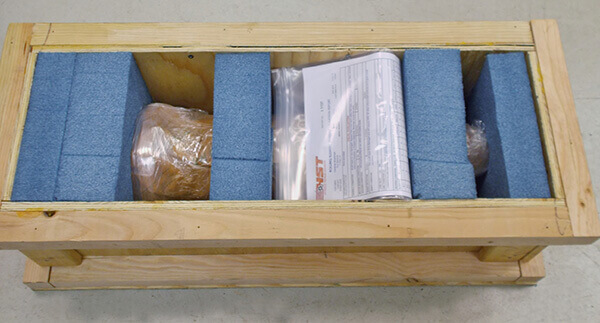 Foam packing and rust inhibiting wrap are standard. We understand that many of our customers try to save some money by repairing their spindles themselves. If you get into trouble give us a call. We’ll help you as best we can over the phone. But if after your start you find yourself over your head, do like this customer did and send to us. This job came to us with the drawbar assembly in a separate box. We always want as many parts as possible. Without the drawbar we can’t test the pull force or the run-out on a test bar. It is our standard procedure to replace all of the drawbar actuator seals and springs. We pressure test all areas that are possible. When this spindle repair was completed the pull force was 3369 lbs. It’s OK to send us the spindle in different pieces like this one. But it’s important to send us all of the pieces. We need the covers, drawbar assembly and gripper assembly to test and set the pull force and check run-out on our test bar. When we received this SETCO spindle it was still operational. But the customer noticed increased vibration and noise so they took it out of service. 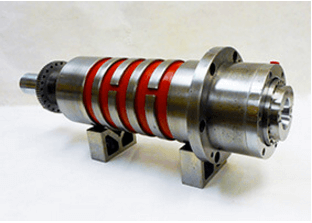 Whenever your production schedule allows for it a spindle should be taken out of service if unusual vibration or noise is present. This can often save thousands of dollars in journal repair. Our examination found that the rear bearings were on the verge of failing. If the spindle was kept in operation there would have been the possibility of catastrophic failure with shaft seizure and journal damage. After our rebuild this SETCO spindle ran better than new. Run-out on our test bar was 4 m and we have vibration readings of 0.036920 in/sec in the front. SETCO Spindle repair Job I-0433. After our GPG the spindle performed perfectly. If you want to learn a little more about SETCO check out this blog.